Northern Voices: Tameside library Open + system crashes. Are library users at risk? "Due to technical problems Open + hours access to Tameside Libraries is not currently available. We apologise for any inconvenience that this causes our customers; we are working with our suppliers to restore Open + hours access as soon as possible." Although the council have stated that allowing access to libraries when there are no staff on duty will double library opening hours, the Open + system has been beset with problems. The general public appear to be largely unaware of how the system works or appear to be wary of entering a library when no staff are on duty. One library user told NV recently that it had taken him almost 20 minutes to exit the library in Dukinfield when he'd been the only person in the building. We also understand that their was a security failure at Hyde library last March, when a computer keyboard was stolen and the person could not be identified because the grainy CCTV image made the person unrecognisable. Under the Open + system, some people are being denied access to public libraries. People who have received warnings about their conduct may be denied access as well as people under the age of 16-years, who must be accompanied by a "responsible adult" who is registered. In their customer agreement TMBC also say: "Customers who have a medical condition that may pose a risk to themselves in Open+ hours, enter the library entirely at their own risk." Those who wish to apply for access to Tameside libraries during Open+ operating hours, must be - a member of Tameside libraries; aged 16-years or over; have no incident forms recorded on their membership; sign a customer agreement and undergo induction training with a member of the library staff. Since the introduction of Open+ operating hours, a number of library staff have lost their posts or have taken early retirement or re-deployment. 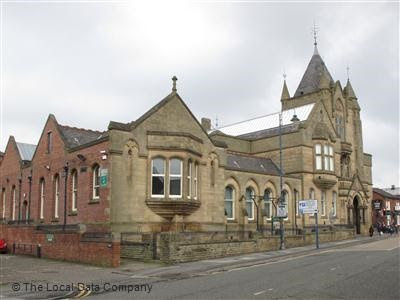 TMBC have also been appealing for volunteers to work unpaid in Tameside libraries which have now been reduced to eight sites, due to financial cuts. Let's be positive! The numbers of young folk going in libraries has been falling for years! Tameside Council seemed to have stumbled across the perfect solution to reversing this trend! perfect venue to head when it's nippy! That's if you can get in the library Gill. The UK has one of the worst rates for literacy for 18 to 24 year olds in the OECD countries. This age group lag far behind people in the UK aged 50 to 64 years of age. Perhaps they ought to start going in the library along with many Tameside Councillor's who are as thick as a book end.